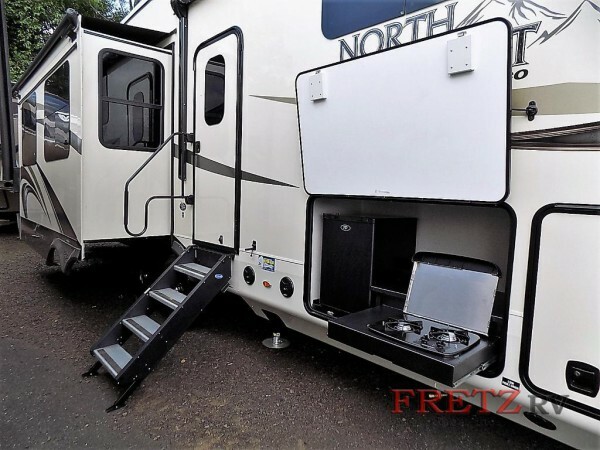 The Jayco North Point fifth wheel for sale here at Fretz RV is one of our favorite fifth wheel models for a number of reasons that we think you are really going to like. 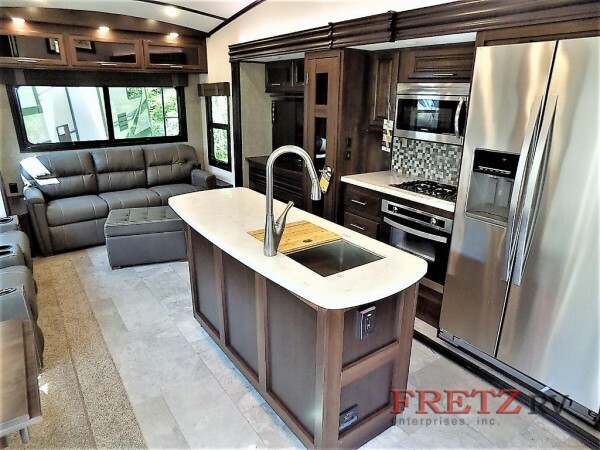 Not only is it fashionable and stylish, it also comes stacked with awesome amenities and features that can make any road trip that you have on the books a truly amazing experience. 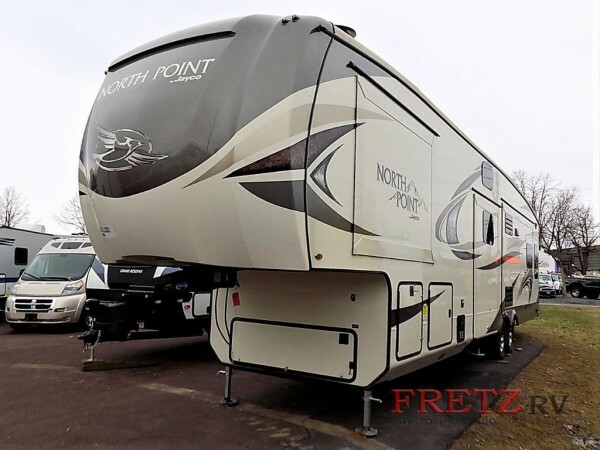 If you want to find out more about what makes this fifth wheel so special to us check out our Jayco North Point fifth wheel review for all of the details. Sounds pretty slick, doesn’t it? But, you know, sometimes, seeing is believing! So, come on by our dealership to check out our inventory of Jayco North Point 5th wheel floorplans for yourself today! Or, you can contact us to ask any questions that you might have about why this might be the RV for you. We can’t wait to help get you into the RV of your dreams!